​A fee of $2 per $1,000 of the purchase price is mandated by State law. For example, if you pay $50,000 for the property, then $100 is added to the recording fee ($50,000 /1,000 x $2 = $100). 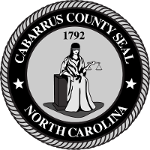 The fee is split equally between Cabarrus County and the State of NC. When a subsequent instrument refers to more than one original instrument for which recording data is required to be indexed, the fee is $25 for each additional reference.